The Long Creek Watershed is a 3.45 square-mile watershed that drains to Clark’s Pond in South Portland and then onto Casco Bay by way of the Fore River. The water bodies within the watershed have been unsuccessful at meeting the required State Water Quality Standards. Subsequently, a watershed wide management plan was developed through a two-year stakeholder process that included four municipalities, jurisdictional agencies, conservation groups, and private landowners. As identified in that plan, this project looked at one of the major thoroughfares, Maine Mall Road, for retrofit opportunities to reduce runoff, reduce temperature of discharges and improve water quality to one of the branches of Long Creek. The project required the incorporation of Best Management Practices into an area that is extensively developed and included runoff from both individual properties and the public right-of-way. 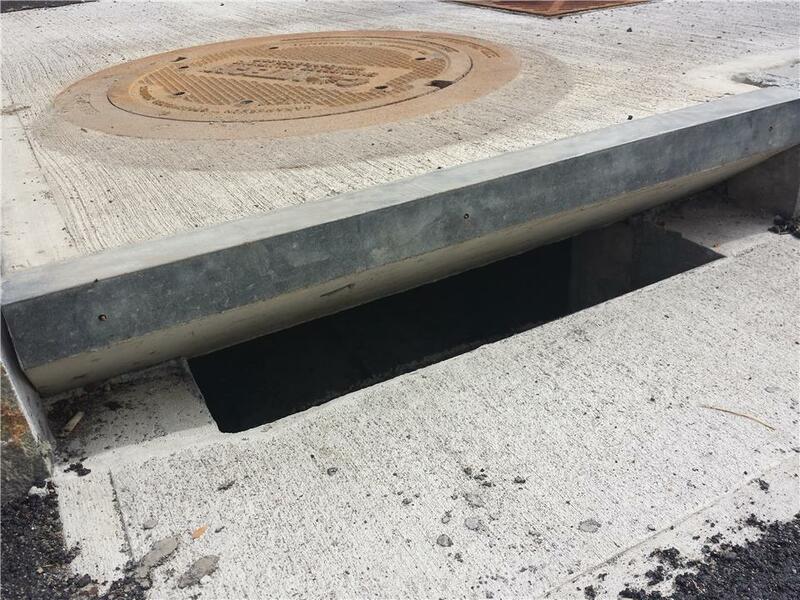 Existing utilities including direct burial cables and high pressure gas mains along with right-of-way and land restrictions made the placements of BMP’s difficult or impossible. Objectives were to identify and provide treatment to as much development area as possible, concentrating on high traffic/pollution loading areas for the best value. Contech bioretention systems were designated for locations where treatment areas were restrictive and contributing areas would allow treatment for a majority of the rainfall that occurred based upon historical one-hour rainfall events. These systems use engineered media that has been optimized for high volume/flow treatment and high pollutant removal. Locations included both planted and unplanted systems, and filters that were constructed along the creek bank under guard rails. Jellyfish® Filters were used where upstream areas could not be isolated for treatment. 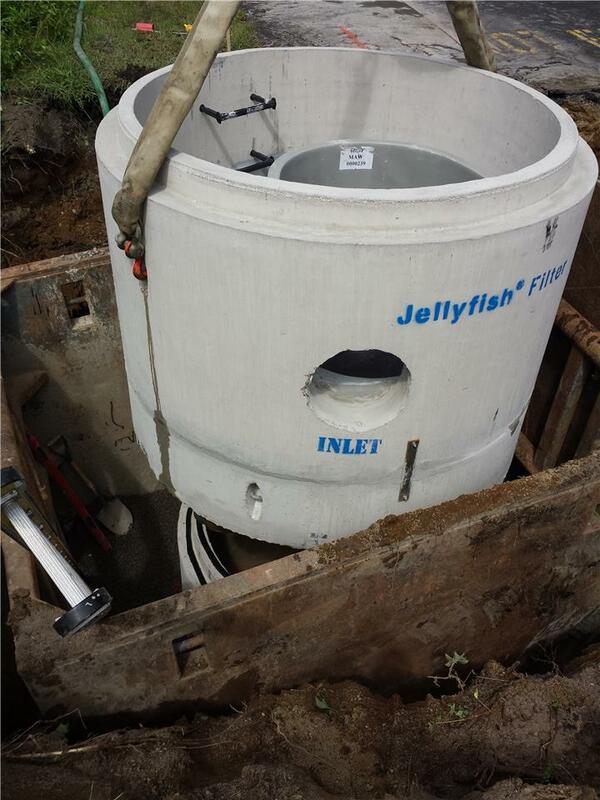 The Jellyfish Filter is an engineered stormwater treatment technology featuring pretreatment and membrane filtration in a compact system.